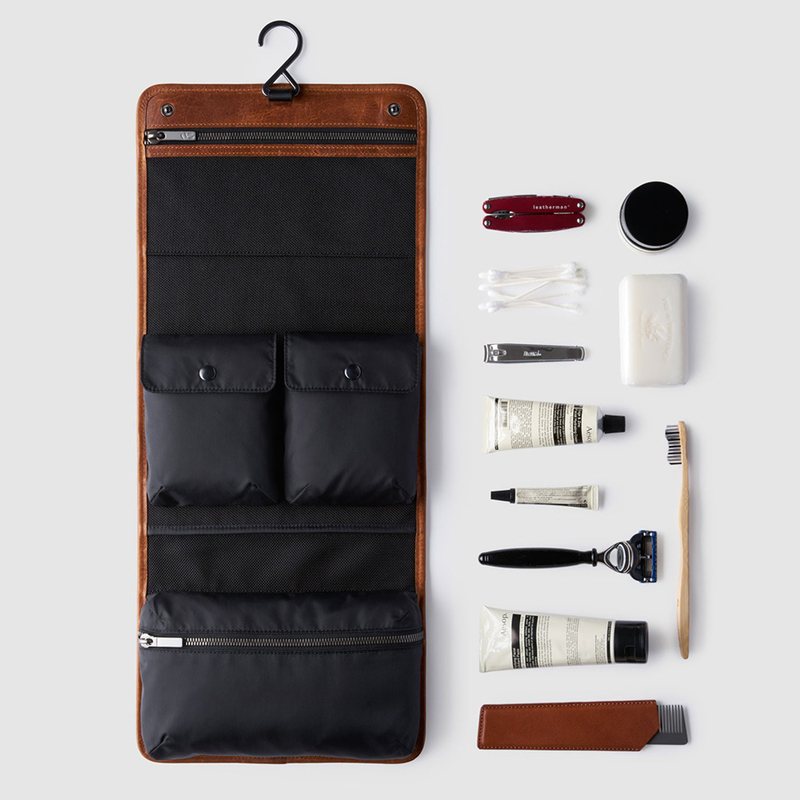 Octovo’s toiletries bag combines form with function. 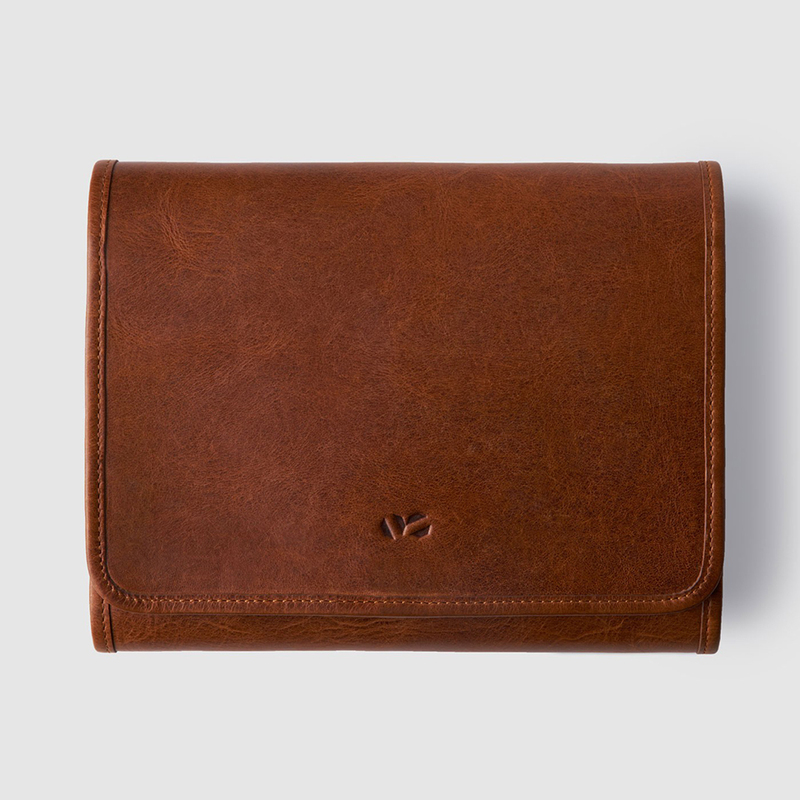 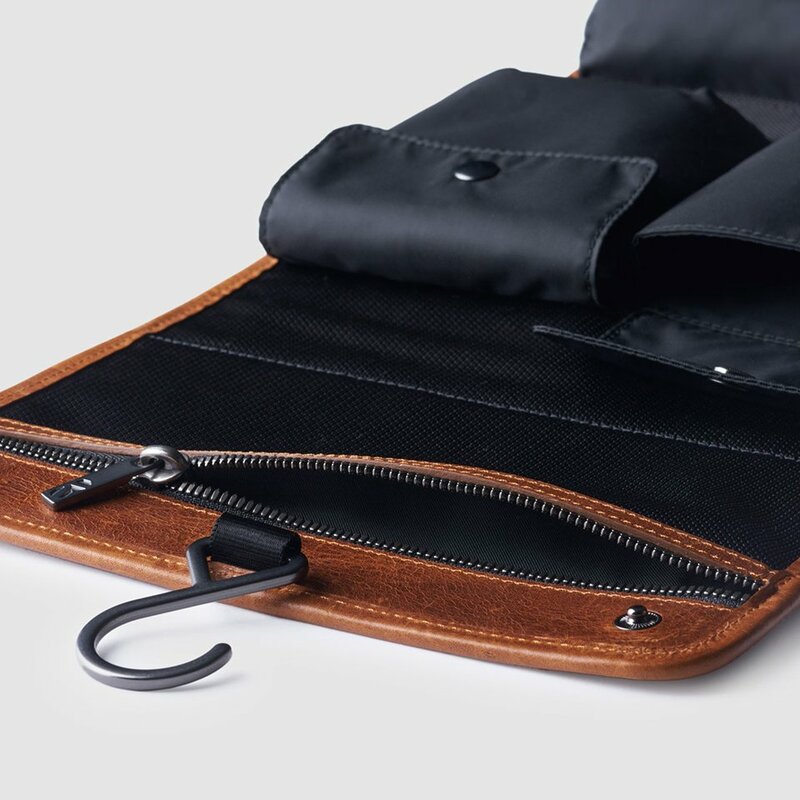 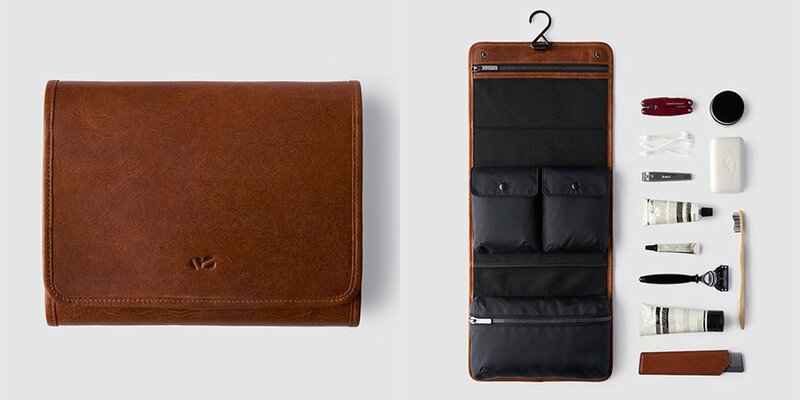 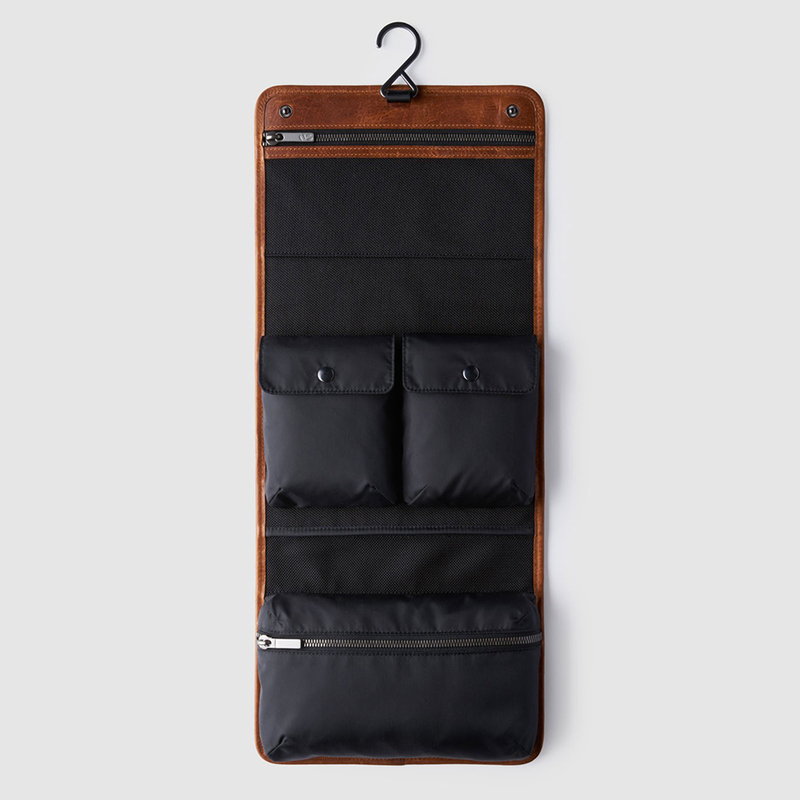 Inside its tanned leather case are four compartments and a metal hook so you can hang it. 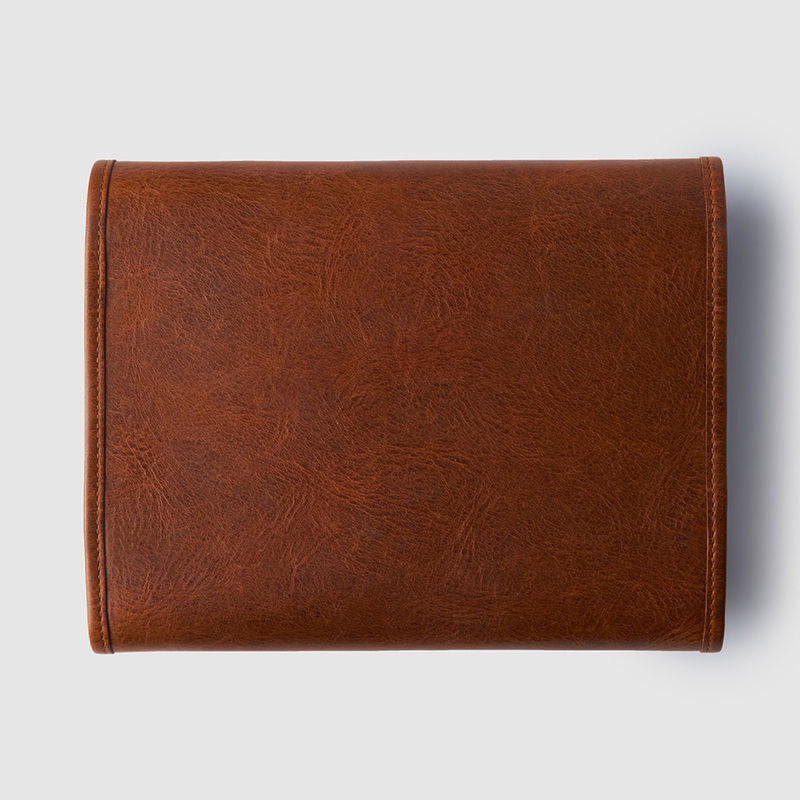 Measures 9.25″ x 7.25″ x 2″ and is 21.25″ high when fully opened.